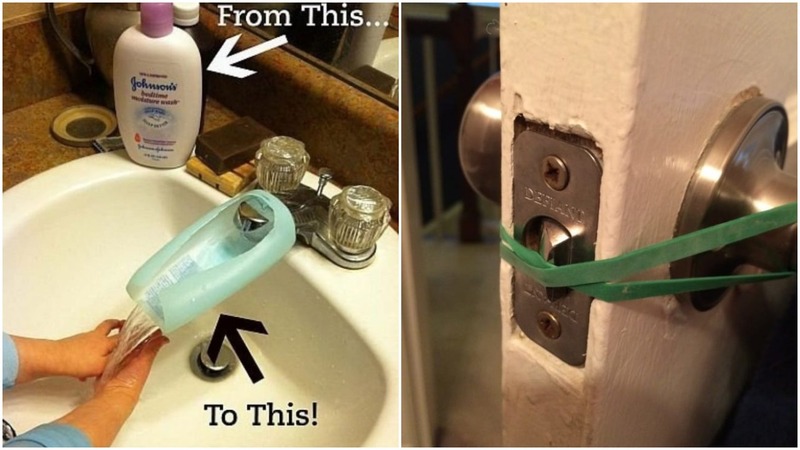 To make life easier, moms and dads often use little tricks to keep their kids happy and entertained…or at least to keep them out of trouble! Here are some of the best that we at dailyjoys think every parent needs to know. You’ll be amazed at how simple they are and at how effectively they work! Losing your child is a scary thought, but it’s a possibility every parent must prepare for. 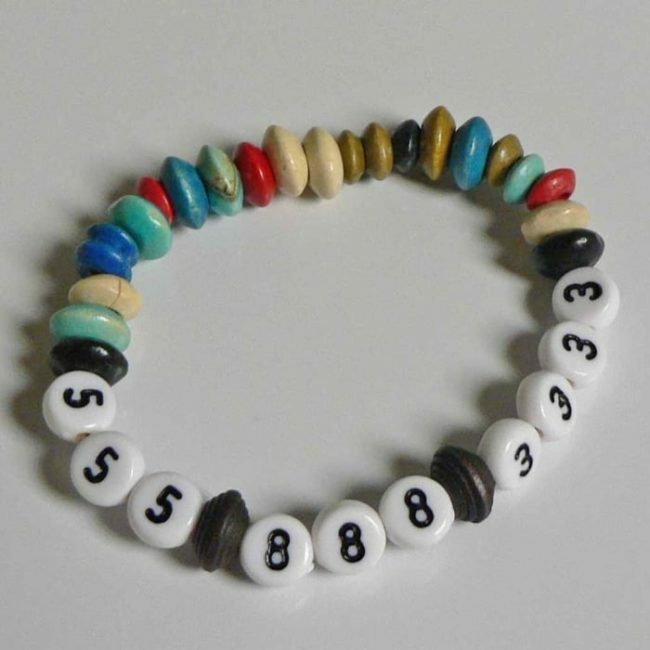 If you’re heading out to the mall, the cinema, or even the zoo, make sure your little ones have a bracelet with your phone number in case you get separated. 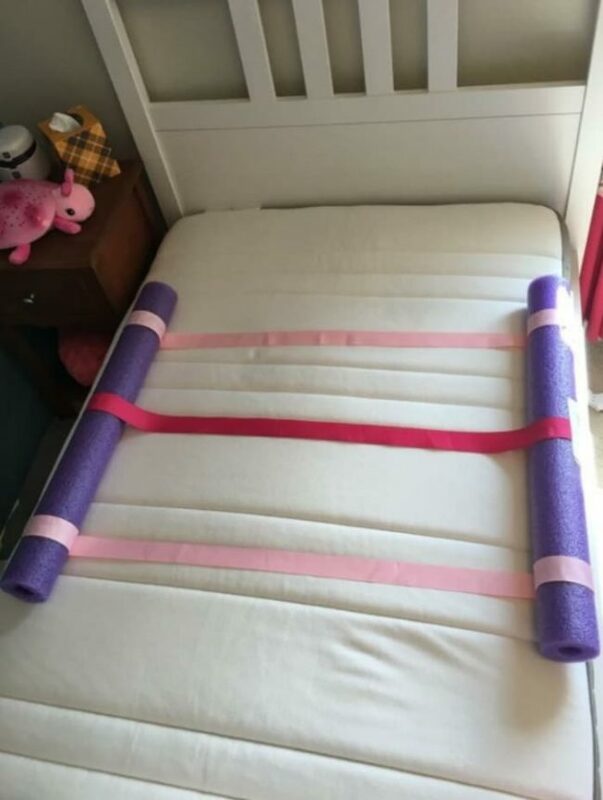 Worried about your child falling off the bed? Simply put a pool noodle beneath the fitted sheets to prevent them from falling. 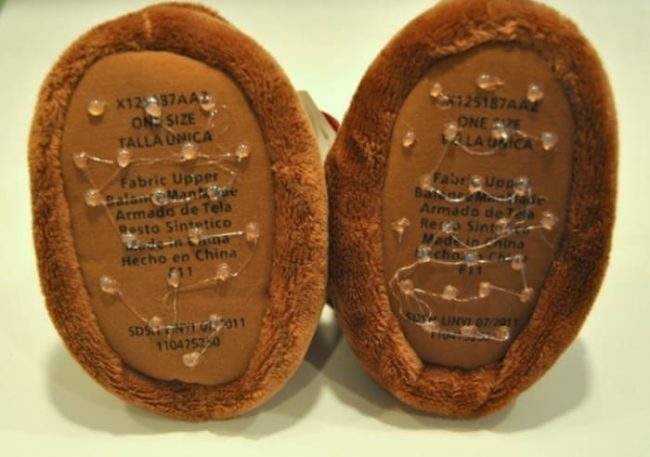 Apply hot glue dots to the bottom of your child’s slippers or socks. This will stop them from falling on slippery floors. 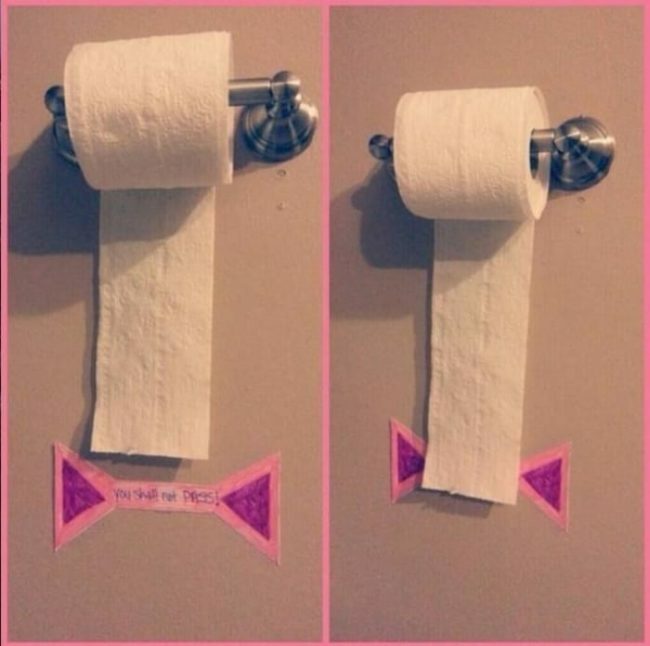 Worried your kids are using too much toilet paper? Why not leave a marker on the wall for them to measure how much toilet paper is the right amount? Do your kids struggle to tell their left shoe apart from their right shoe? 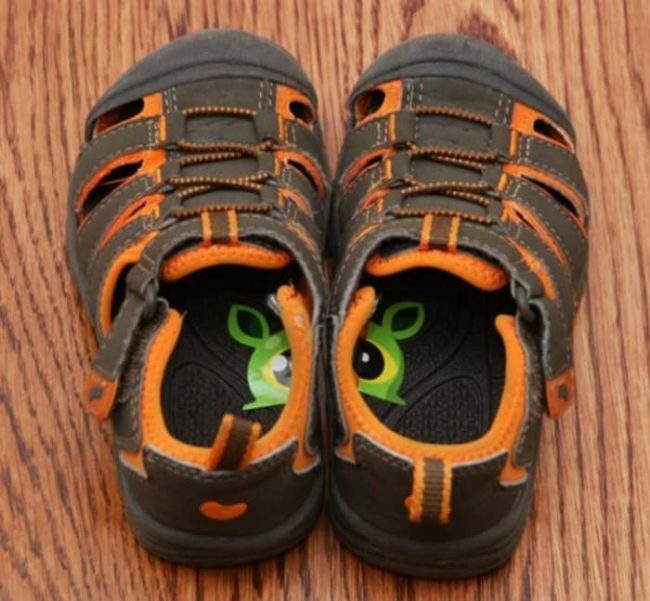 Simply cut a sticker in half and put each section in one of your kid’s shoes. That will help them figure it out! Glitter is every parent’s enemy, but thankfully you can clear up every speck of glitter thanks to this incredible cleaning hack! 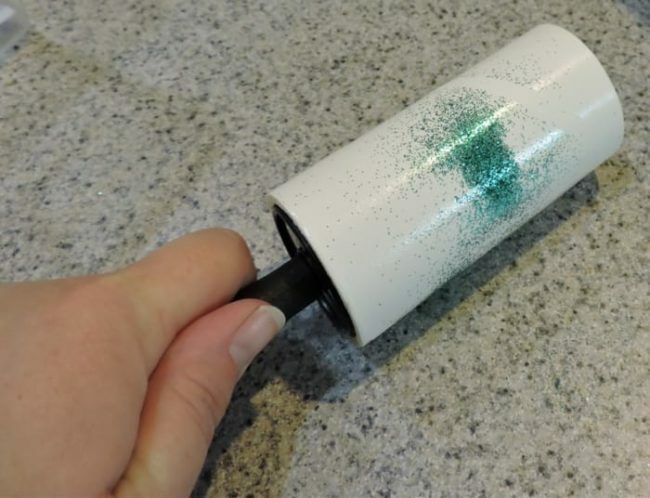 Simply run a lint roller over a glitter covered area! Worried your kids will get themselves locked in a room? 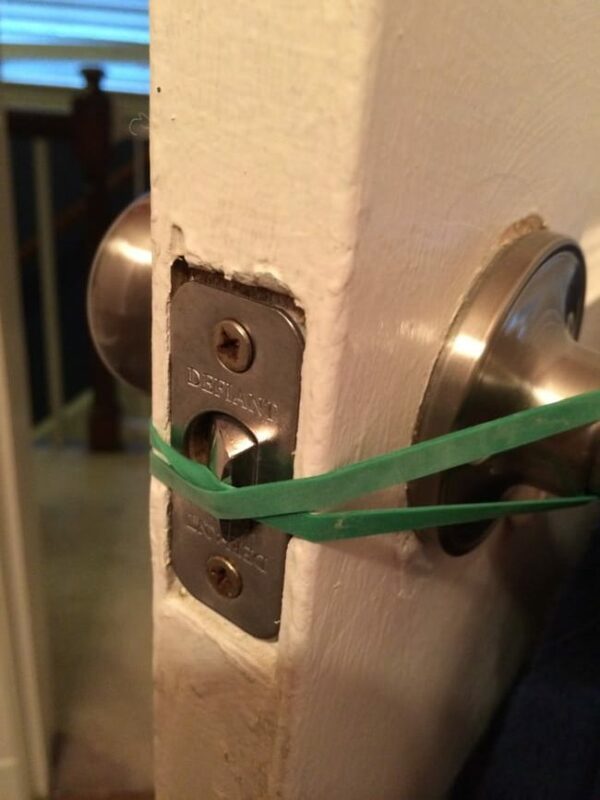 Use a rubber band like this to prevent it from happening.